Many who write about video games today, like many of you who read us, we took quite some time on this. Maybe that's why we often collide new business models and reluctant to show us things like episodic games, to give the example at hand. But with Telltale games many discovered the potential of this type of fiction based games, with Life is Strange we get another opportunity that we believe is a great choice for any user. As each about six weeks, Dontnod Entertainment - creators of well conceived but not so well executed Remember Me - brings a new chapter in this adventure starring Max Caulfield, an eighteen-year guard discovers he has the power to change time, always within certain limitations. Our goal is to unravel many mysteries that exist around us, ranging from meteorology to disappearances. As always, we maintain our commitment not to reveal the history of the game, so you can quietly read this analysis. Obviously, if you've played the previous two episodes understand better some references. In any case, Life is Strange - Episode 2: Out of Time ended with a blunt end. Regardless of how you have done for you-obviously, our decisions change the story in Life is Strange - Episode 3: Chaos Theory everyone is still hangover from what happened, what conditions the narrative tone of this chapter. This level begins by introducing "different", quoted situations because almost nothing don’t change the gameplay. In the beginning we have to infiltrate in different rooms of Blackwell Academy, so we will move in the dark trying to pass unnoticed and flashlight equipped with mobile phone. On examination it remains intact its proposal, which invites us to explore the environment for information, objects or perform special photographs function as a collectible. In Life is Strange - Episode 3: Chaos Theory gameplay has seemed the flattest of the three episodes. It has moments of "tension" fairly easy to solve, but just have puzzles, beyond a trialogue in which we have to extract information for our benefit playing time. Obviously, mechanical rewind remain, and as happened in the last chapter, it is possible that the typical decision that seems completely trivial finished changing the development of narrative unexpectedly. This is part of what we like Life is Strange; a small gesture can bring great consequences. As its subtitle indicates, this episode explores the "chaos theory", and although it is not something that is done explicitly, is inevitably inherent in the concept on which the game is based Dontnod. With or without chaos, this chapter is still more deeply into the relationship between Max and Chloe, and even quite knows more about the characters who until now were little more than a name, like Rachel disappeared. In any case, we dare not say how the story progresses, but we can anticipate that is a chapter with a lot of information, which opens further questioning of closing. In fact, arise so many doubts and solve many difficult situations that we can not help but wonder how the French study plans to put solution to everything in the remaining two episodes are plated. Full stop to discuss a new power of Max, which occurs suddenly and, frankly, more than a playable resource, is a narrative device. We do not know if it will squeeze more as an aspect of the gameplay in the future, but it certainly surprised us much and serves as welfare-to "excuse" (among many quotes, do not get us) to take us to a new end of episode redo quite a long wait until the fourth. We do not think that exceeds the end of the second episode, but it's a great closing. The biggest drawback we can put this chapter is that we have control over just a couple of important details to plot level, but as we mentioned previously, since the previous episode showed us that a small decision can have a big outcome afterwards. 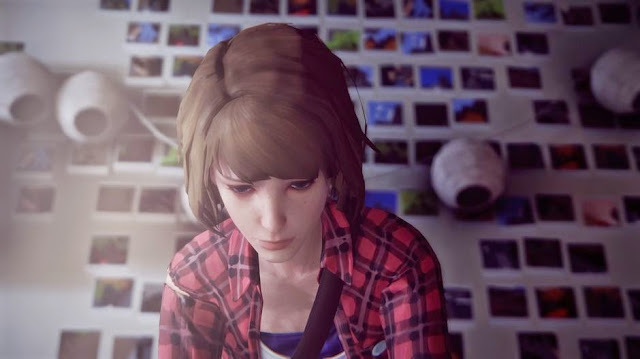 We know that the biggest problem of Life is Strange, facial expressions, they will not be solved in this season, but there is no doubt that the great work of the voice actors palliate this deficiency. There are some more successful than others, as always voices, but in general, the interpretation of the dialogues and situations are more than enough to get into position. Needless to say, the use of music returns to be very wise, although its role becomes a bit more secondary in this episode. In this chapter, although many of the scenarios are known, also we explored some new environments, and if we find good including some details that will help us be completing parallel to the main story lines. In addition, the mystique of the first section is an interesting change, even in the audiovisual industry. When Dontnod Square Enix said that was the only publisher who did not ask you to change anything about the game, you stop to think about what could be wrong with the original concept. Once you play it understand that there is nothing wrong with it, but people who are not able to see beyond the / s protagonist / s, and understand that after two young men can find a very interesting story and narrated very strong, very tough decisions and that feeling that sometimes things will get out of hand. Life is Strange - Episode 3: Chaos Theory is partly an episode of reflection, and no wonder after the close of the second. 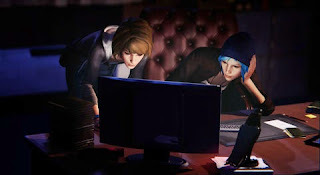 Still, on the other hand, it is a chapter in which many things happen, where we are given much information about people who until now had a secondary role, and where further deepen the relationship between Max and Chloe. In addition, its closure is ideal for letting us biting our nails until the fourth.